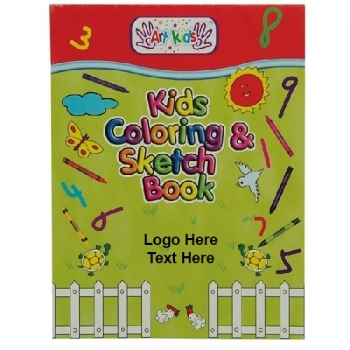 Promotional Small Creative Art Books - Kids Coloring & Sketch consist of a total size of 5.5" x 7.25". These custom crayon coloring books are presenting an imprint space of 1.5"W x 1"H located in the front cover to let your brand logo receive maximum impressions. These kids coloring books are featuring 10 coloring pages and 10 sketch pages. Giveaway these A5 size coloring and drawing books to make children more attached to your brand logo or name. 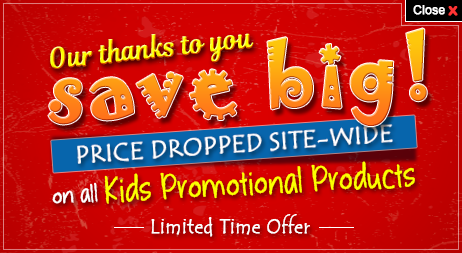 Order these promotional kids products right away to get free online proofs and free artwork design services. Request a quote to know the value savings that you can avail on bulk orders of Promotional Small Creative Art Books - Kids Coloring & Sketch. Product Size: 5.5" x 7.25"